Legend Sportswear, a sportswear manufacturer that has been in business producing a range of apparel products will enter the Fijian market. Established since 2004, founded by Australian owners, with Australia been their main clientele source, but has expanded to various parts of the globe such as: England, California, China and Fiji now to the rest of the pacific. 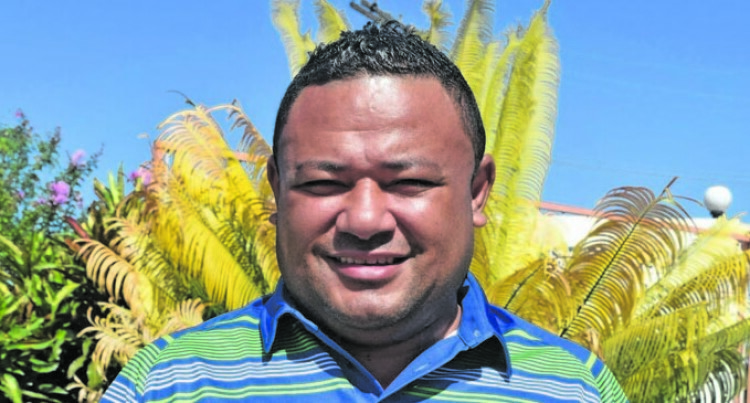 Manager (South Pacific) Liga Gukisuva said in the next three weeks they would be announcing some new and exciting partnerships and sponsorship. “Legend Sportswear ensures quality products delivered to your doorstep, we surpass any local manufacturing lead times, and continue to innovate for efficiency and consistency, and we now have 180 plus staff members accompanied by strong and experienced leaders. “Ensuring your garments being manufactured to world class standards”. Your thoughts on the Fijian economy at this moment? What does 2019 hold for you as investors? We will definitely be exploring opportunities, if we find something that make commercial sense we will explore and make a business case out of it, this is what Bluebird Events have done over the past two years. We started off as an event management business, then we moved into the LED advertising space, shortly we will be providing customised POS material which will be the first for Fiji and now we have the apparel arm; this definitely indicates the confidence we have for our govt and the economy. Describe what kind of line of clothing will your shop sell? Our retails will definitely a one stop shop for all your apparel requirements, we will fit you out from feet to head with our superior products, we know the business inside out and our quality will be second to none at an affordable price. What can the Fijians expect from this apparel line? They can expect superior quality worn by some of the well-known brands globally; we take pride in our products and services. Where will be the first branch is based? Where is the clothing line origin? The designs on apparel produces are customised to the customers want, you dream it we will create it for you. Our business is about partnership with our clients, through our products we can assist them in achieving some of their marketing and branding KPI’s. Collectively we have about 50 years of experience so you can be rest assured that we will have a keen eye on detail to ensure that you get what you want … turning your dream into reality. What is the investment to this? At legend sports we are here for all your apparel requirements, be it for your inter house, rugby club, social group, school alumni or your church kalavata, we have what you want. We will deliver items from 2 weeks to 6 weeks depending on quantity and all our products are made with Fijian in mind not only on our physical attributes. We are also mindful of our climate and its humidity. Explain what happened to BLK business? I thoroughly enjoyed been part of the BLK family. While there I was presented with an opportunity and been the person that loves challenges, I took it on board and now making it become a reality. For me it’s about challenging the norm and pushing the boundaries – this has always been my drift. So, you can be rest assured we manufacture them with you in mind. I can be contacted via my facebook page and our retail shops once they’re fully operational.